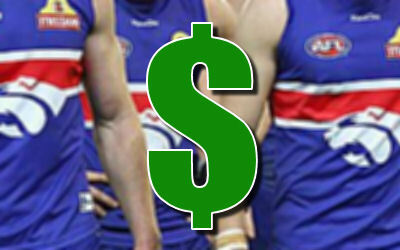 The Bulldogs might end up as one of the teams that offer up the least amount of selected players in AFL Fantasy in 2014. Defender Christian Howard ($135,500) provides some interest as one of the cheaper players on the list. Lachie Hunter and Matt Fuller imo should be considered. Dahlhaus and Libba could breakout big time and be fantasy relevant and if Grant is consistent he could score similar to Jack Gunston/Tom Lynch. Christian Howard could be worth a punt on at 135500. Na imo he’s a goner, he currently has an ankle/foot/leg problem I think but not sure on which. I went to open training yesterday and I didn’t see him out there. We have bolstered our fwd and midfield depth recently so if Dahlhaus ever gets more midfield time he could be next seasons Matt Stokes type bolter.